You can easily turn your yard into a beautiful piece of art by learning a few DIY landscaping ideas. 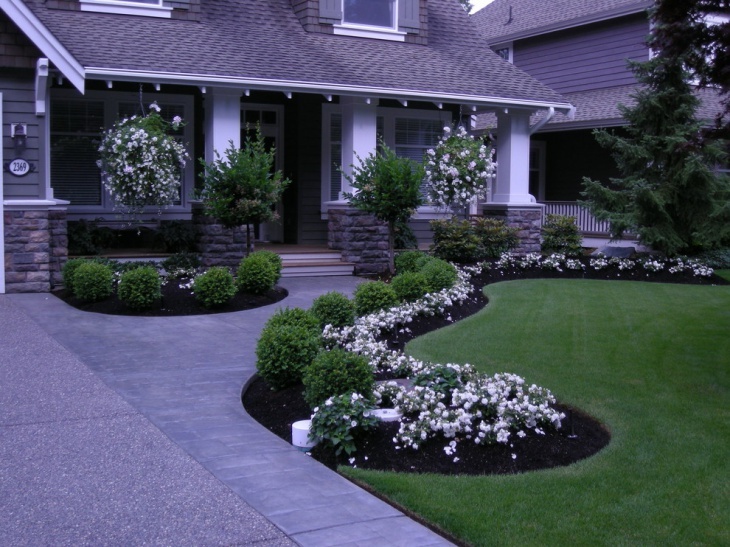 Once you have landscaped your yard, you have also increased your home value and curb appeal. 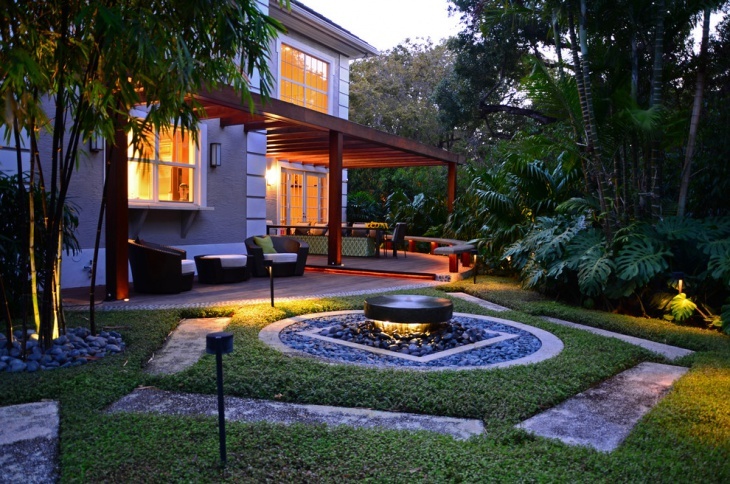 A nicely done garden/yard is a great place for entertaining, relaxing and growing. 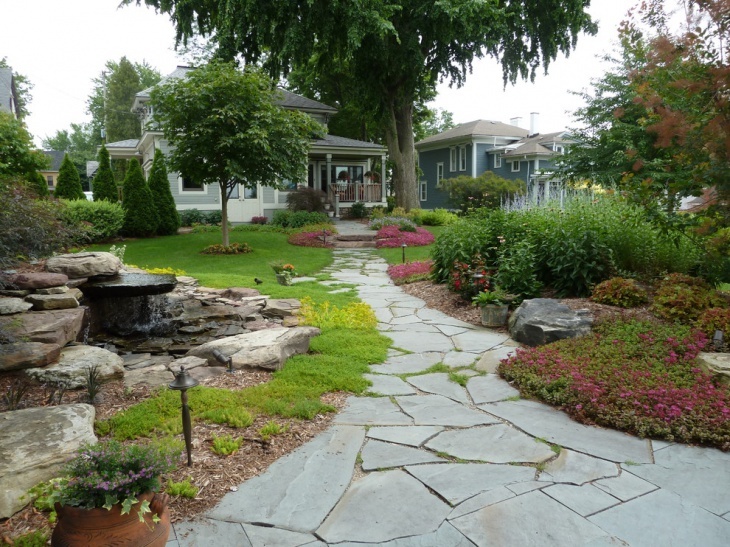 The following DIY landscaping ideas should provide you with motivating inspirations for your own yard. 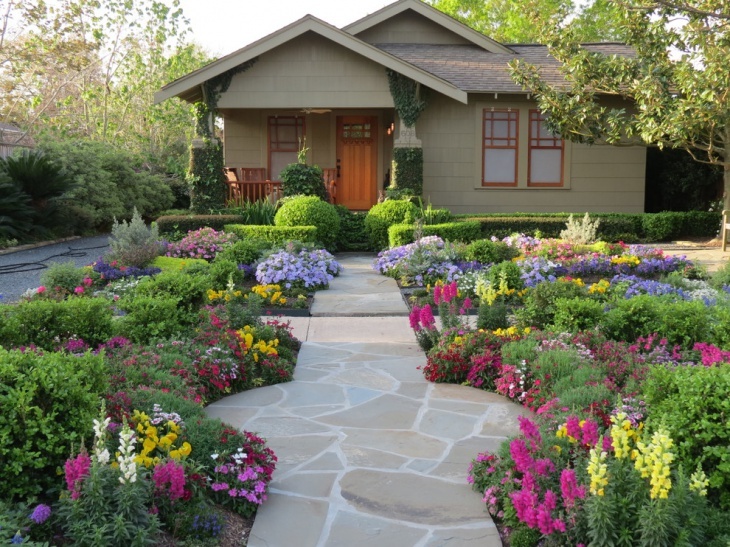 This front yard is a beautiful example of a simple landscaping project. It is a limited front yard area of about 10 meters deep by 20 meters wide with a well thought out plan. 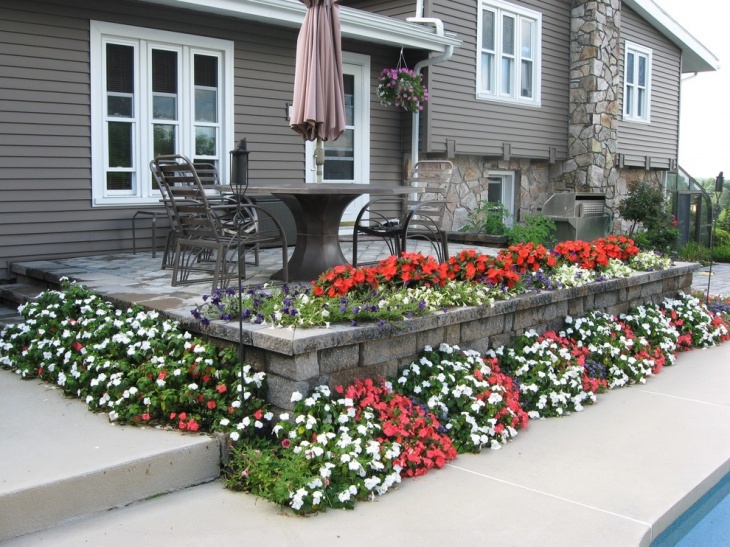 Aesthetically balanced between the strength of rock, stone and paver brick and the softness of nature’s touch by grasses, ferns & a myriad of colors brought by the well-placed flowers, both perennials, and annuals for a full year of blooms & blossoms. If you have a deck and your idea is to create a simple landscape around it, this is the best example. 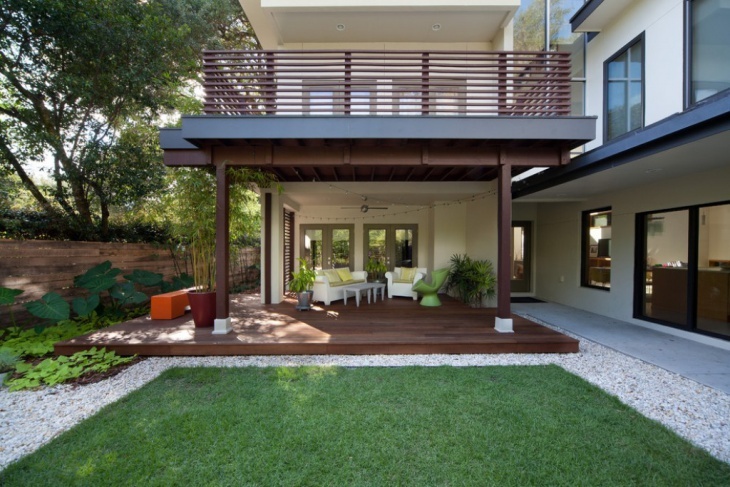 The wooden deck is surrounded by small white stones and the large square of fine Bermuda grass provides a serene space. 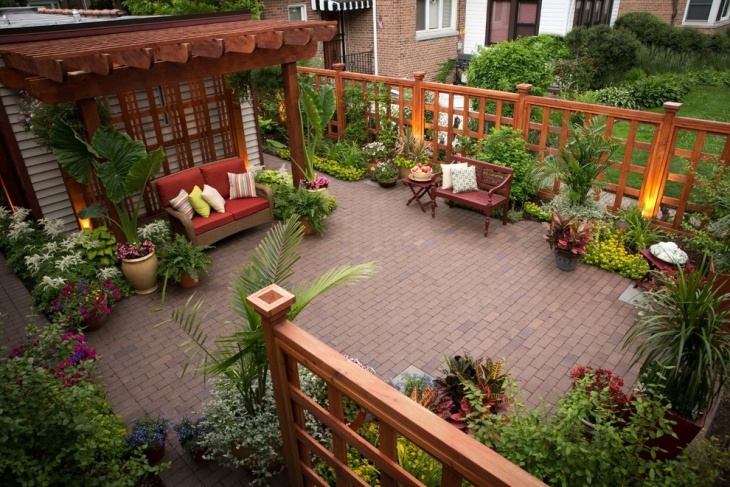 One side of the deck is planted with bamboo trees and elephant ear plants. This particular DIY landscape is something that would surely make your guests go WOW. 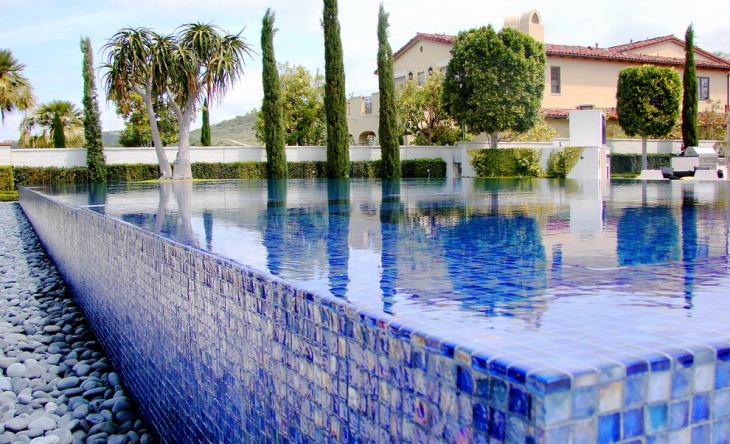 The pool is surrounded by smooth garden stones and trees of different shapes and sizes act as decorative features. 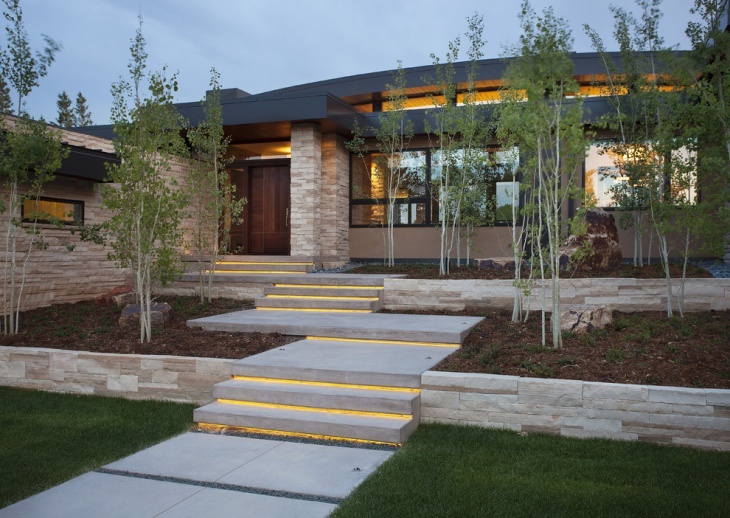 This front yard landscape has sloped garden with lighted elevated pathways. 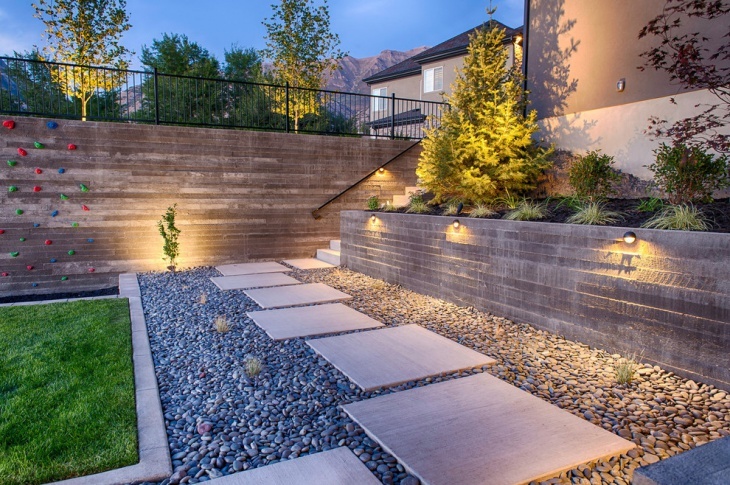 The lights coming from paver steps provide a majestic appeal to the whole set up. 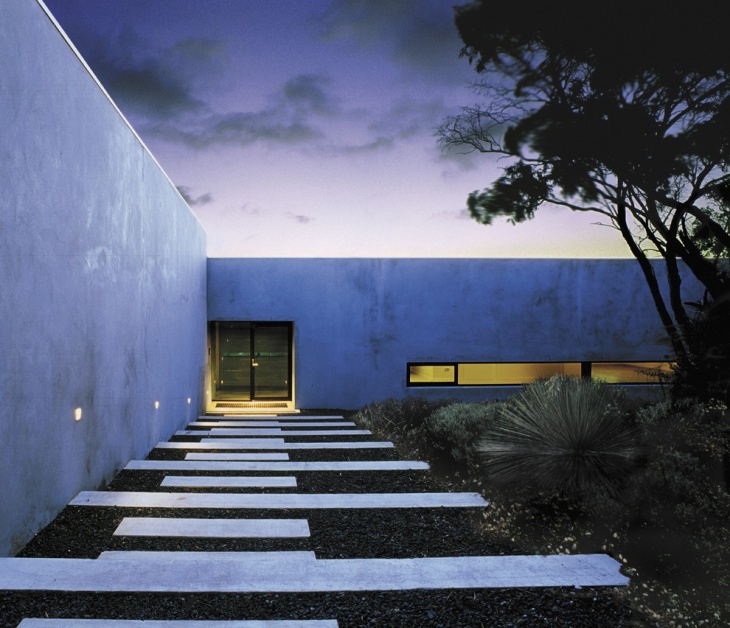 Minimal use of plants makes this landscape simple and elegant at the same time. This is the best option if your home is located on an uneven land – like of the foot of a hill. 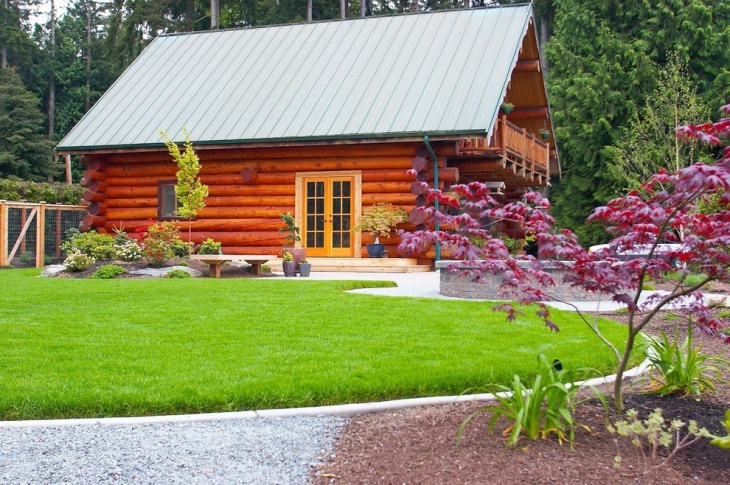 This log cabin is naturally beautiful by itself, and the addition of the perfectly designed landscape turned it into a holiday haven. 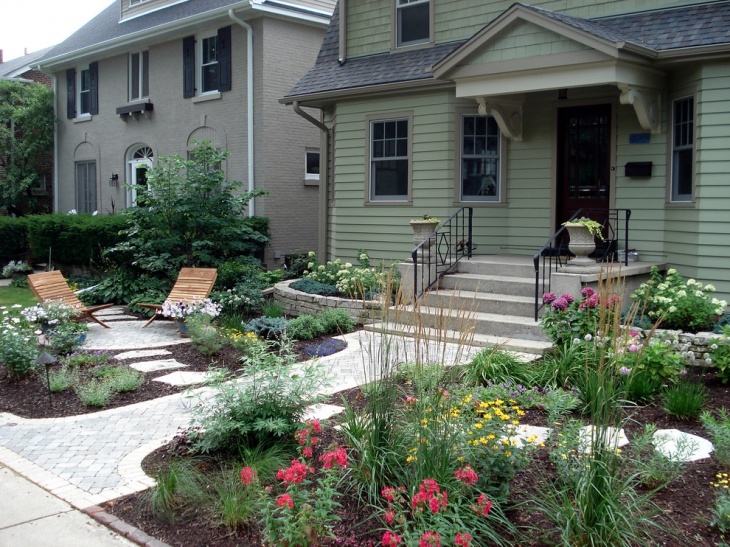 The green lawn is surrounded by white gravels and plants are gathered into groups and placed in different locations. A single stone bench stands beside the decorative pots of plants. 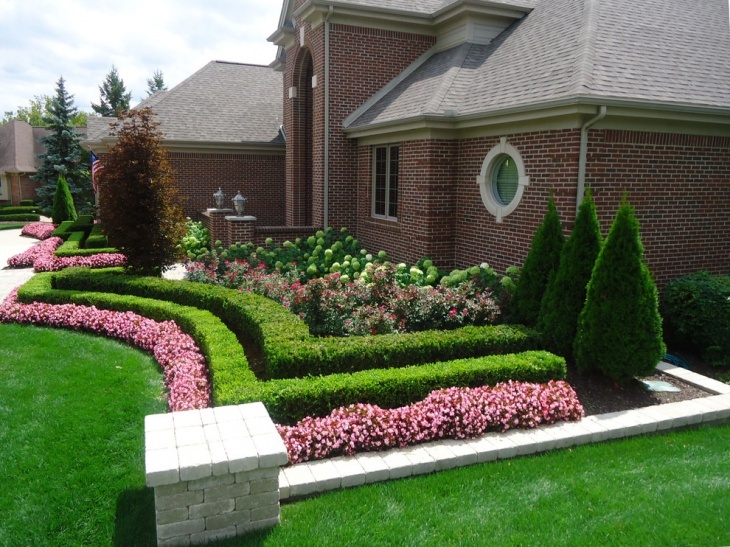 If you have a limited space for landscaping, it is important to consider the things and the plants that you would want to use. 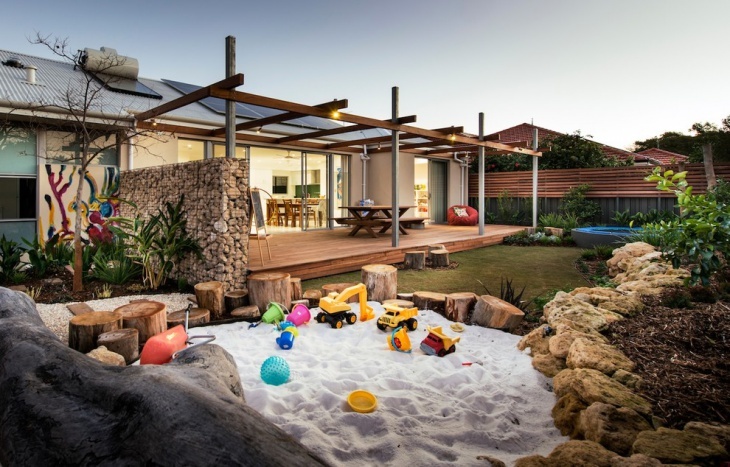 Take a few examples from this backyard space. 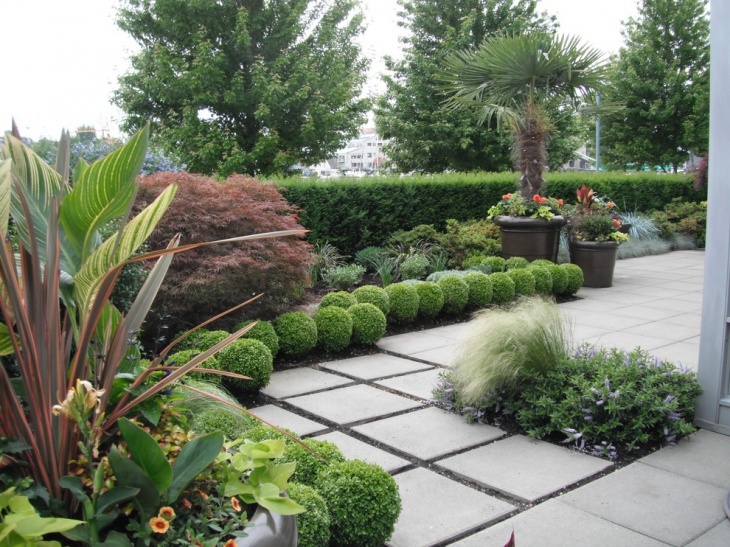 The plants are perfectly arranged around the small green lawn, while the pathway and the platform are built with concrete slabs and pavers, respectively. The garden set provides a nice place for having small meals like snacks or teas. 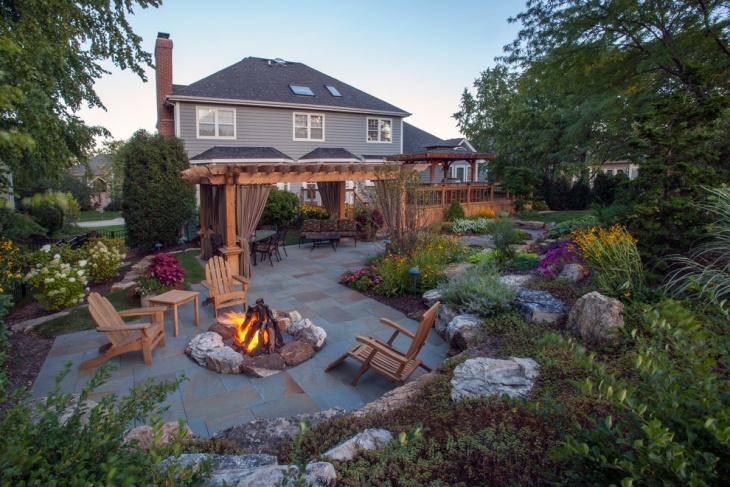 If you like having barbecues with your family and friends, a garden fire pit may be a nice addition to your landscaping idea. 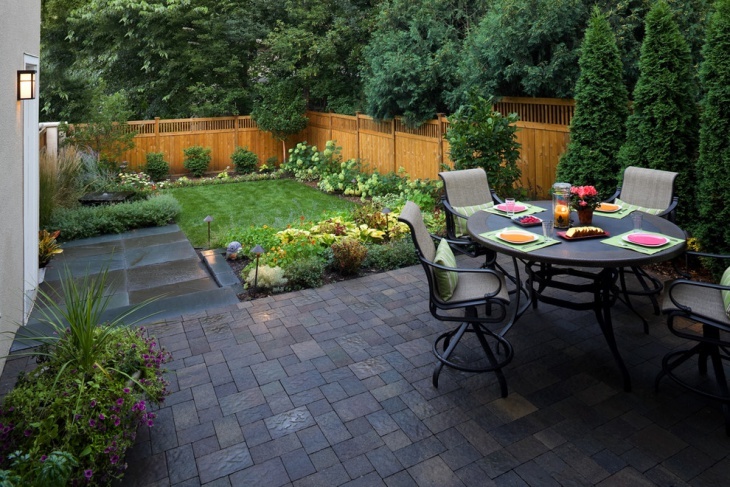 This patio has a big enough space to accommodate such a luxurious feature, which is even made more enticing by enclosing it with large concrete slabs arranged in a pentagon shape. 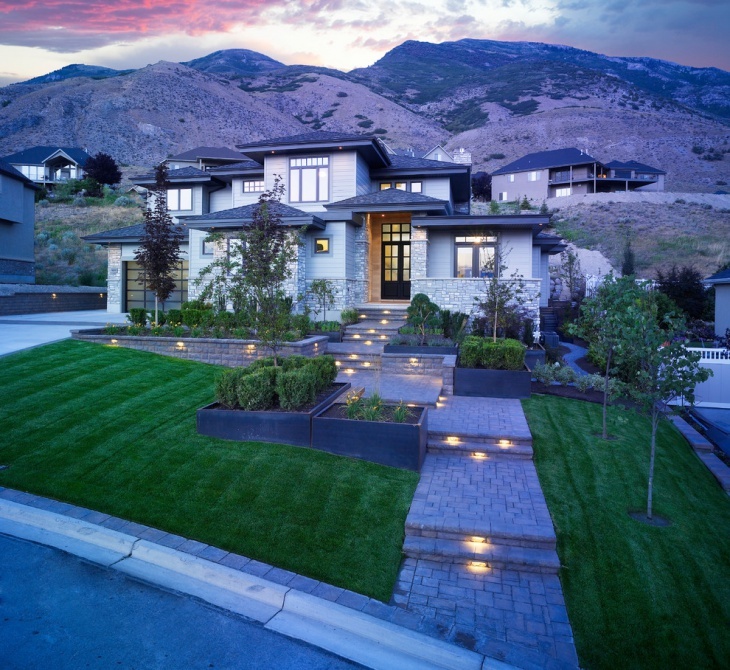 A hillside property is always a challenge to the landscape. A creative mind though will take this challenge and turn the entire area into a masterpiece. 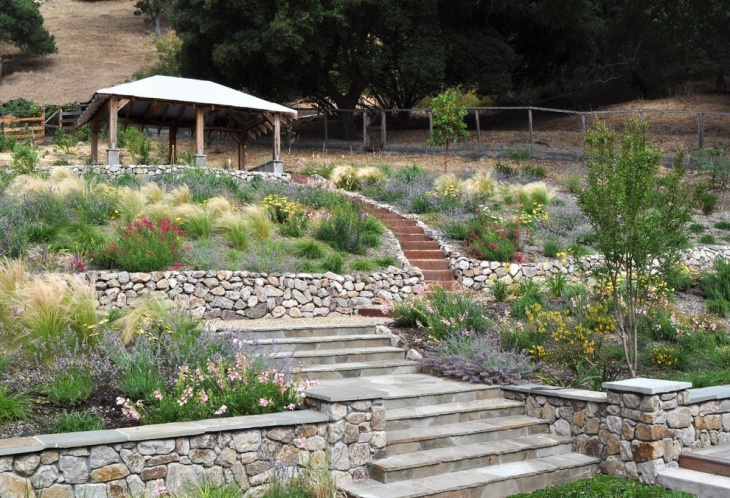 This landscaping project is done using stones to keep the plants, shrubs and trees in their respective places, while steps made of pavers provide a nice pathway going up a rustic shed.